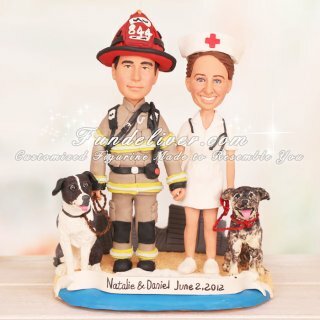 This is a completely customized firefighter nurse and dogs wedding cake topper ordered by one of our customers. They would like to get a cake topper with the bride, groom and their two dogs Chief and Dalilah. The groom is a firefighter and she is an ER nurse. He was hoping to get it done with the groom’s figurine in his turnout gear, and her in a classic nurse outfit. Also he was thinking of having him holding a leash with Chief at the end, and her holding a leash with Dalilah at the end. He proposed to her on the beach at Las Ramblas in Barcelona Spain. 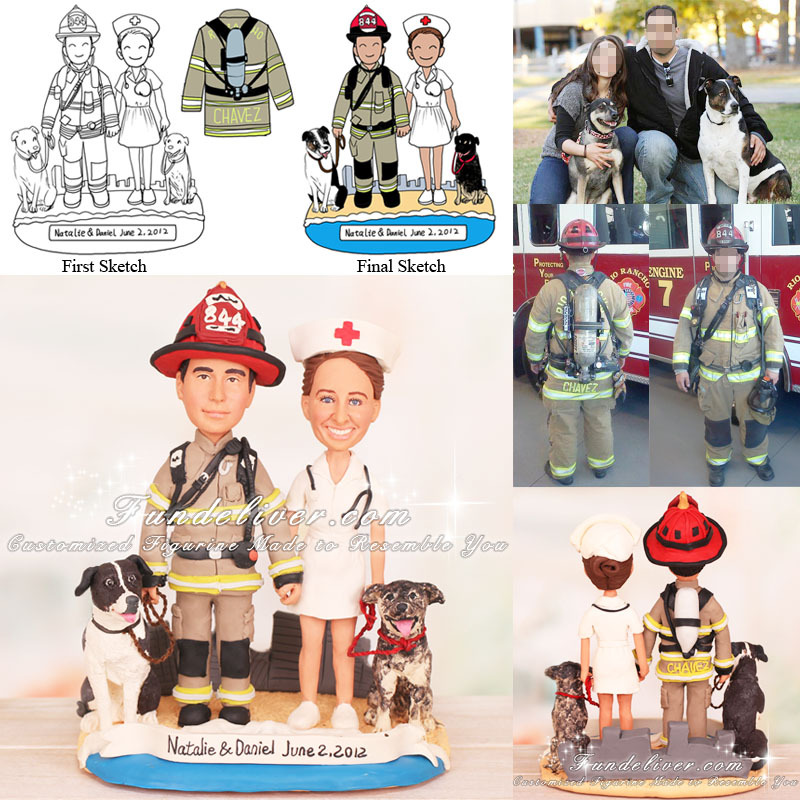 He would like to have a nice Barcelona beach background for their nurse firefighter and dogs wedding cake topper.